The High Capacity DRUM CRADLE is loaded with features. Exclusive skid resister frame eliminates slippage while loading. Nose plate has built-in lower chime hook to prevent sliding. 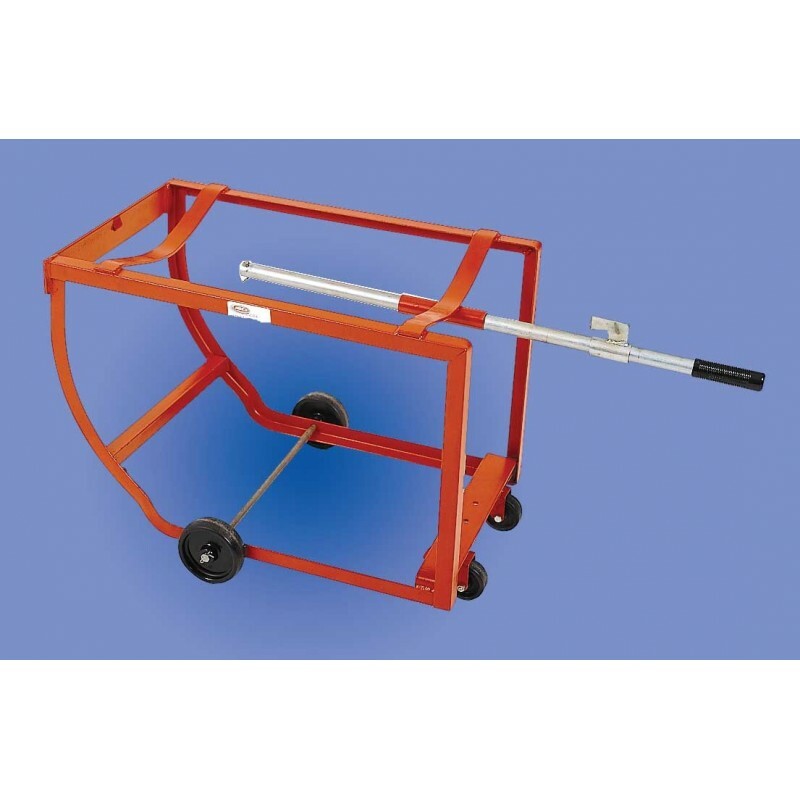 Retractable zinc-plated tipping lever allows easy one-man drum tipping. Frame measures 36-1/2"L x 22"W x 22"H. Drain height is 20-3/4". Weighs 39 lbs. Ships assembled. Note that drums must be a minimum of 29" high for the handle hook to engage to the drum chime.